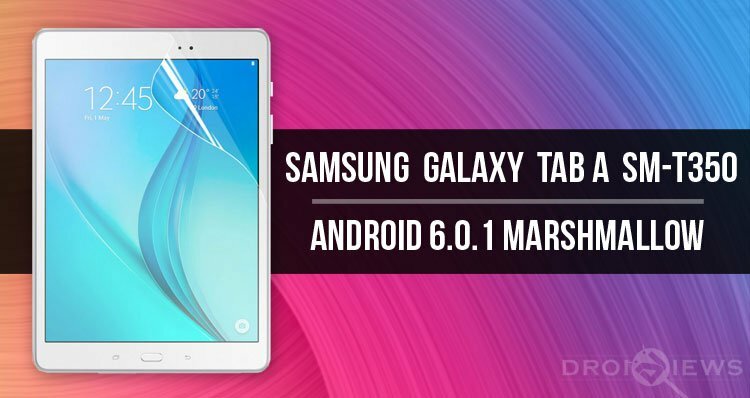 The Samsung Galaxy Tab A 8.0 was released back in May 2015 with Android Lollipop. It has been more than one and a half year since this tablet device received any significant OS update. 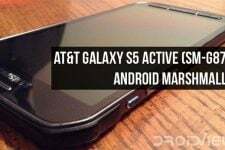 If you own the SM-T350 model of the device, you must have got bored of using Lollipop by now. Anyway, there’s a good new for you because Samsung has started rolling the much-awaited Marshmallow update for the device. 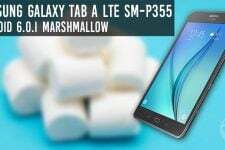 Below, we’ll see how we can install Android 6.0.1 Marshmallow on Samsung Galaxy Tab A.
It’s true that Samsung has sent the Android 6.0.1 Marshmallow update to the Galaxy Tab A 8.0 much late but we’ve still a reason to be happy because it’s finally out. If you own a non-rooted device, you might have already received the Marshmallow OTA. 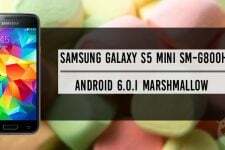 However, if you have not been able to get the software update notification on your Samsung Galaxy Tab, you can install the Marshmallow firmware manually using Odin. A few tweaks and changes in the user interface. Search and quick scrolling feature in the app drawer for find apps faster. Launch Google Now on Tap quickly by holding the Home button. Better battery performance through power usage management via Doze and App Standby features. Efficient management of app permissions. Country: USA, Russia, Canada, Turkey, Saudi Arabia, Australia, New Zealand, etc. CSC: The CSC is mentioned in the firmware names. Note: If your country is not listed below, don’t worry. You can install any firmware from below (except the one for Cellular South) on your Galaxy Tab A. Just make sure your Tab is not carrier-branded. We’ll be adding more Marshmallow firmware as they come out. Download the firmware zip file. Enable USB debugging on your Galaxy Tab A SM-T350 by going to Settings> Developers options. In case you don’t find the Developer options under device settings, go to Settings> About> Software info> Build number and tap it 7 times to enable it. Backup your apps and data as a precaution. Make sure that your Tab A has at least 60% battery before starting. The firmware linked on this page are official ones and installing any of them will not void your Galaxy Tab A’s warranty. Please follow the steps described below very carefully and do not hesitate to ask if you have any doubts before proceeding. Having downloaded the firmware and made the preparations mentioned above, you can now follow the installation steps. Extract the downloaded firmware and Odin zips and place them on your desktop. Boot your Galaxy Tab A into the Download mode: to do so, turn off your device and then press and hold the Volume Down + Home + Power keys at the same time for about 2-3 seconds. You’ll see a warning screen prompting you to press the Volume Up key to continue to the Download Mode. Press the key. Now go to the Odin folder and launch Odin 3.10.7.exe as administrator. Connect your phone to the PC using the stock USB cable that came with your phone. When your device is detected by the computer, the ID:COM port in Odin will turn blue and you’ll see “Added! !” in Odin’s log box. Now click the AP button in Odin, navigate to the firmware folder and select the firmware file with .tar.md5 extension. Finally, click the Start button in Odin to initiate the firmware installation. The installation procedure might take a few minutes to finish. After that, you will get PASS! message on Odin and then your Tab A will reboot automatically. Device overheating while running the new firmware. Force close error on any app.